WOOO! Let's do a mic shootout soonish then, I can let you know the next time I'll be at the studio maybe, or I could come to yours, whatever is more convenient. Yeah a mic shootout for sure. Five C38Bs, three different vintages, that'll be very interesting! Either place works for me, but if yours is booked up - we can use mine. There's flu in the house right now, but the next couple of weeks should work. 6 more C38Bs sitting idle in a drawer? What's with that? When you say the output is low, what are you comparing it with? The specs list the sensitivity of the modern version as being 4.4mV/Pa, which is pretty low by modern standards. By comparison, a vintage U87 in cardioid is 8mV/Pa and a modern U87AI 28mv/Pa. Assuming the sensitivity of the older C38 is roughly comparable with the new version, I'd expect it to be about on a par with some dynamic mics, and much quieter than most condensers. That's not a fault, it's just the way the mic is. When I mean low , is compeared even with shure 58 dynamic mics. Means that is to low for a recording. To much noise if y level the volume up. It should be about twice as sensitive as an SM58. Have you checked that the pad is not switched in? The pad is a circuit that attenuates the signal from the capsule in order to not overload the mic's electronics on loud sources. If it is switched on, the signal will be 8dB quieter. I have not used a C38b, and I can't see where the pad switch is -- perhaps inside the battery compartment? Ahh ok, yes the pad is hidden but outside. 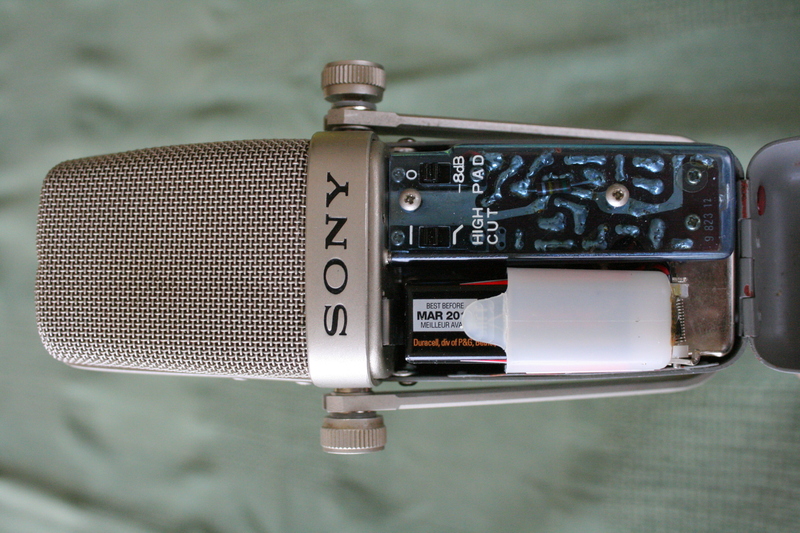 Is the small wheel arond the cable where the cable meets the body of the mic. Is a kind of selector with many positions. I ve tried that. But I am returning this mic, has a rock history at TTG studios, but is not working. In this condition doesnt worth the 870 bucks that I paid. Thanks. It should be set to the 0 position not the -8dB position.